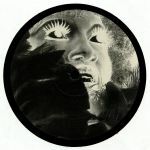 Review: Over the course of 12 months from the summer of June 2011 onwards, the mysterious Eros offered a portal back to the raw, decadent & formative birth of club music through 3 superb 12" releases. Fast forward three years and Eros has raised once again, Lazarus style, with the commencement of a new series that veers away from the electronic focus of those previous records to the outright flamboyant styles of disco. All three tracks here are untitled, so the disco scholars out there will have plenty of fun seeking out the source material but really the dancers will have more reacting to these cuts. Track 2 in particular features some sublime phasing and edits. Review: Since first appearing last summer the label has retained its air of self imposed anonymity, while keeping the spotters busy with a supremely rewarding approach to digging up and re-editing "lost classics from the raw, decadent and formative birth of club music" in a manner befitting of modern dancefloors. People who class themselves as knowledgeable on the sounds that pumped out from the mixing desk of Ron Hardy at the height of his popularity probably won't have much trouble placing the source material for the four tracks here, but the genius of the EROS series is the way they've been edited which betrays a mastery and understanding of the music a legion of soundcloud dwelling hopefuls could only dream of. As the series' final release, it's hard not to think of the often stated platitude that all good things must come to an end.